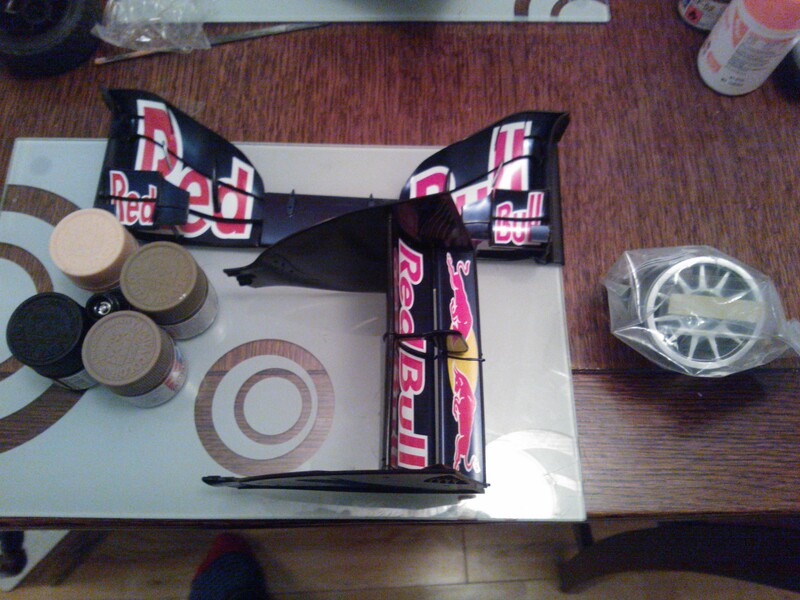 My first batch of parts for the Red Bull 7 kit arrived today. The parts include bits of the front wing, rear wing, a wheel and an oil filled shock to build. The front wing had some small parts that were pretty annoying to fit but I got there in the end. You can see the oil filled shock balanced between paint pots in the photo. This is to let the oil spread around the shock assembly and remove pockets of air. Looking forward to seeing the finished model, thanks for posting, Graham, YourHobby…..